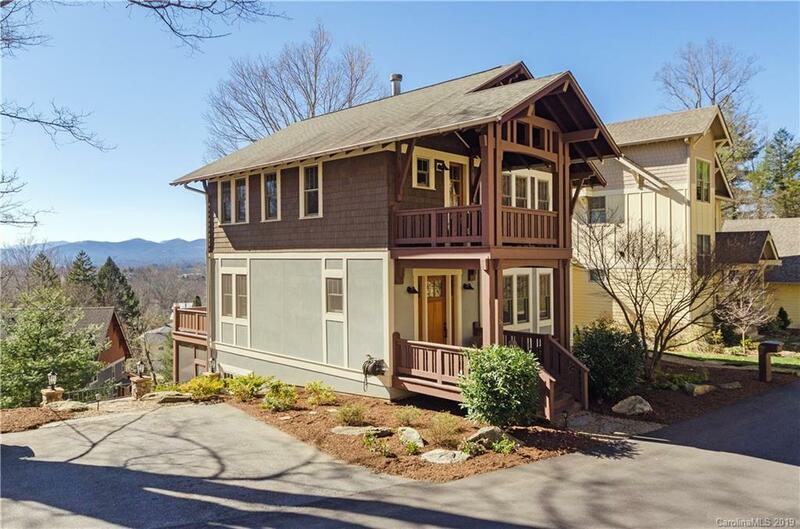 37 Shady Park Lane, Asheville, NC.| MLS# 3482626 | Brevard NC Real Estate Listings, Pisgah Forest, and Dunns Rock Properties for Sale. Quality Construction Home in prime North AVL location within walking distance to Downtown & Charlotte Street venues. Home boasts STUNNING high end finishes throughout. (Originally the Model Home) 4 Bdrms, 3.5 Baths, Light, Bright White Kitchen w/Island, Granite, SS & Custom Cabinets. Great Room w/Fireplace & VIEWS! Master Suite w/private deck. LL houses a Family Room plus Barn Doors to Bedroom and Full Bath - possible In-Law Suite or Second Master. Walls of Windows bring in natural light, nature and VIEWS!!! Tons of sought after Outdoor Living Space. Decks, Screened-in-Porch and gorgeous Stone Patio. Prepare to fall in love with this one!